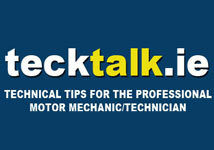 As the trade is very aware, every sector of the aftermarket is fiercely competitive, but this competition often bring benefits in the quality of products they supply to their customers. Dayco products are manufactured to fulfil the original equipment (OE) needs of the vehicle manufacturers who demand high quality components that are able to perform faultlessly during their specified service and warranty periods. As a result these products have to incorporate the latest technology in their design, construction and manufacture to enable them to achieve these requirements. Unlike many such suppliers, Dayco does not split its manufacturing facilities between OE and aftermarket and therefore uses the same production processes for the products it supplies to both channels. This means that technicians can have complete confidence in the products supplied under the Dayco brand, as these products will automatically incorporate the latest technology. Therefore, in 2008 when it supplemented its existing ethylene-propylene-diene-monomer (EPDM) range introduced three years earlier with its Poly-V S belts, these belts included what is still the latest in auxiliary belt technology. Although now in the aftermarket for more than four years, in common with all of Dayco’s EPDM Poly-V belts, the Poly-V S range naturally benefits from the use of a fibre-loaded element, which is applied to the contact surface. As the belts warm up during the operation of the engine, the fibre-loaded element increases the contact area of the belt in the pulley grooves to reduce the likelihood of belt slippage under the increasing load demands from the ancillary components driven by the auxiliary belt. The polyester tensile cord, which has been integral to every Dayco Poly-V belt for many years, ensures that the extra grip afforded by the fibre-loaded surface will not distort or stretch the belt, even during the most extreme of operating conditions. 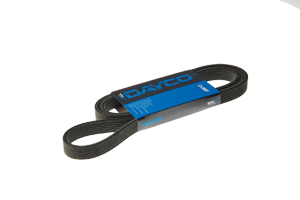 Alongside its High Tenacity (HT) or ‘white’ belts, which are fast becoming the standard OE fitment with an increasing number of vehicle manufacturers, Dayco’s Poly-V belts provide the trade with products of the finest quality.